Have you ever wondered who you are? Why things seem to “happen to you”? Why you sometimes get that “gut feeling” to do something? Why “coincidences” seem to happen? How is it that you sometimes “hear a voice” in your head and when you follow it through, you discover something new that you never knew existed? 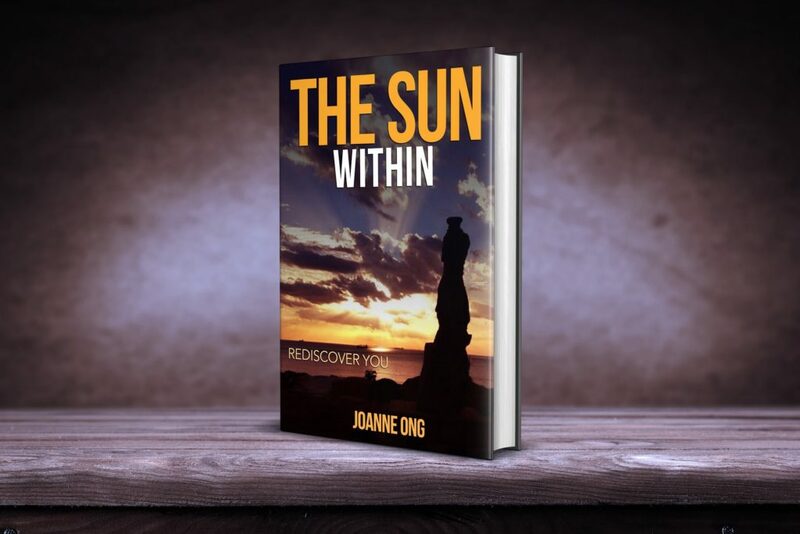 The Sun Within: Rediscover You is the result of Joanne’s analysis of her life so far, why and how “things” happened and the lessons behind challenges she faced. What she found was a correlation between spiritual teachings, latest scientific research and an array of “coincidences” to help her grow, learn more about herself and understand her purpose in this lifetime. Everything happens for a reason. Even if the reason is not apparent at the beginning, we all have the choice and free-will to look for the good and turn it into a lesson for our own growth. Whether we realise it or not, we are all in control of our own lives. We each have The Sun Within us; we only need to awaken ourselves from our “auto-pilot” programming to Rediscover Us, to realise our innate potential, capability and ability to live the way that we were meant to live. Follow the link to grab your copy NOW! Once you have purchased the book, please click here to download your gifts. If you have purchased more than 1 copy of the book, please click here to download your gifts. Should you have any issues regarding the downloading of your gifts, please contact me directly and I will be in touch with you shortly.